Cheers to the biggest anniversary of them all! 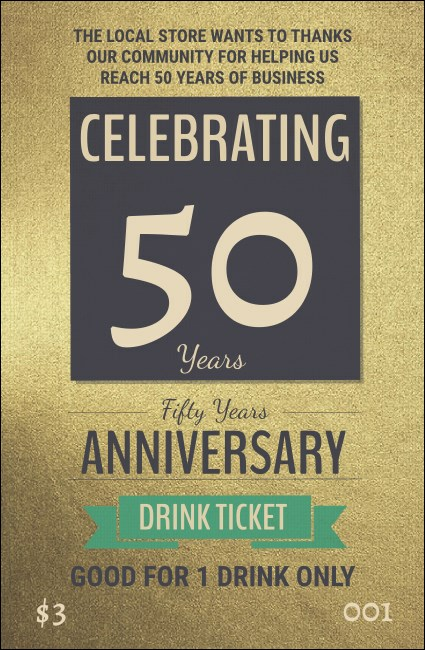 Celebrate this achievement with the dazzling 50th Anniversary Drink Ticket. This securely numbered template has a sparkling gold background and eleven lines for event and drink details. Serve Chardonnay or Champagne and drink to great memories now and in the future!